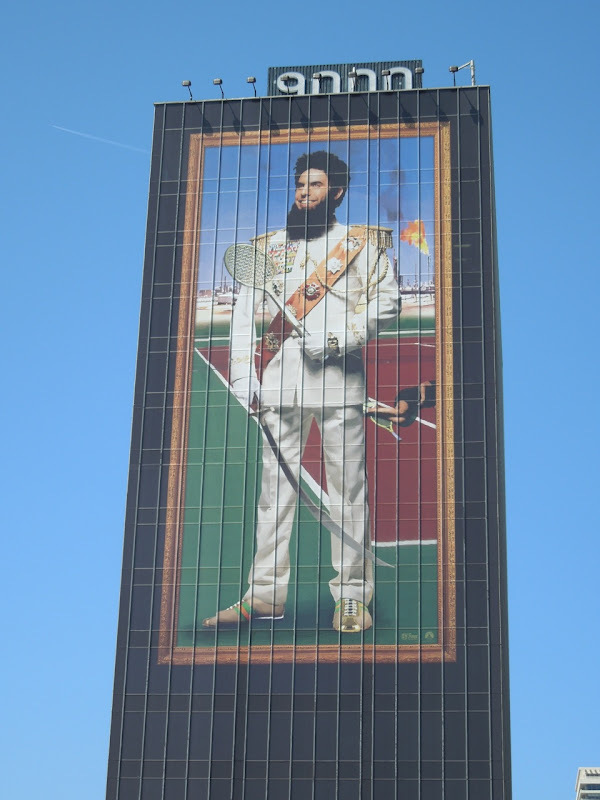 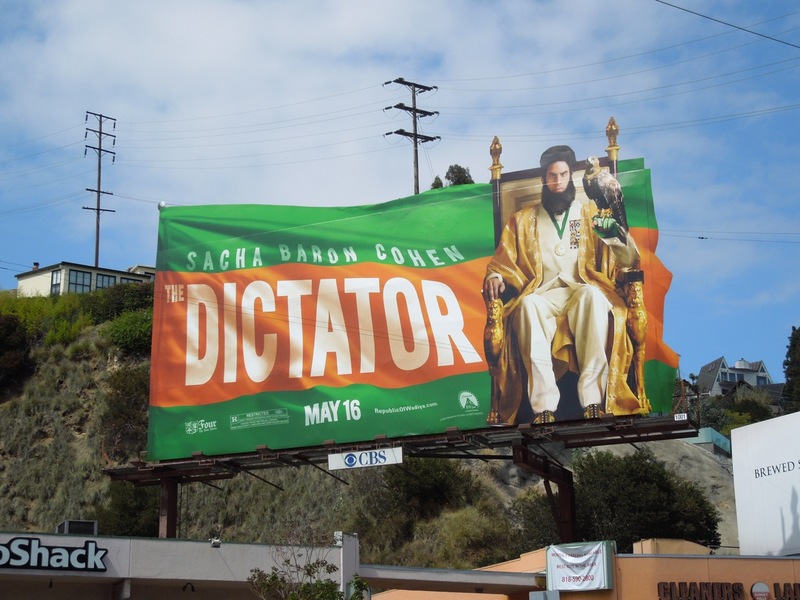 In The Dictator controversial comedian Sacha Baron Cohen assumes his latest parody role as 'General Admiral Haffaz Aladeen' of the fictional country of the Republic of Wadiya. 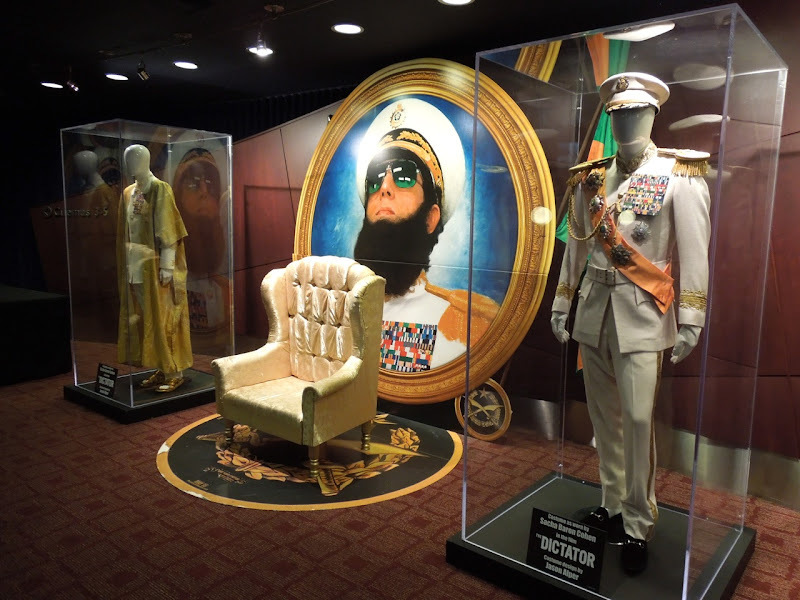 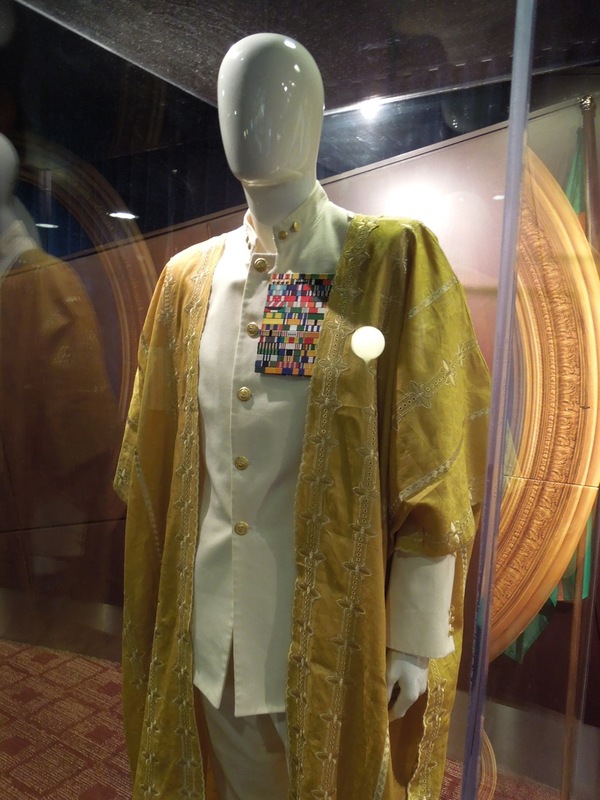 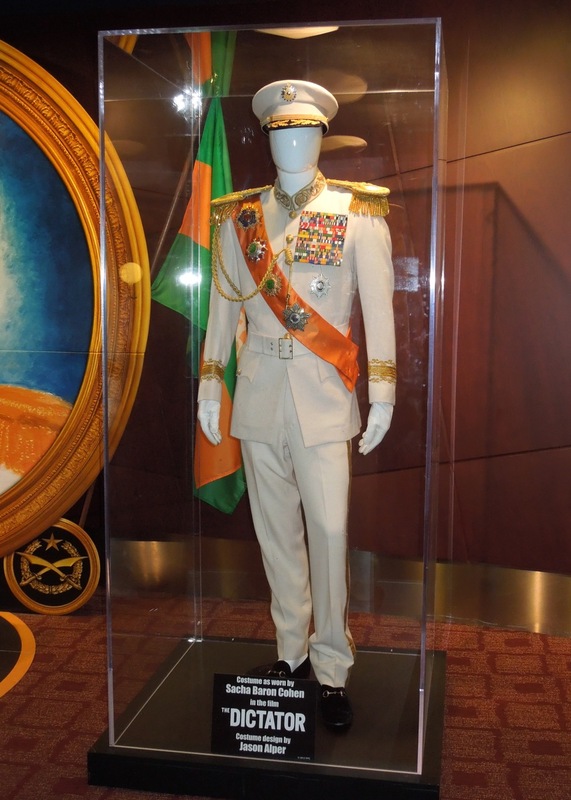 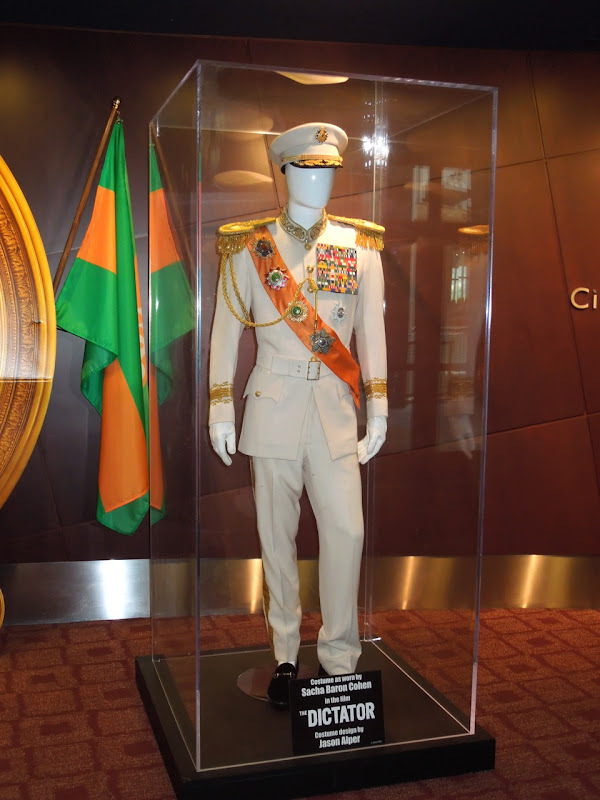 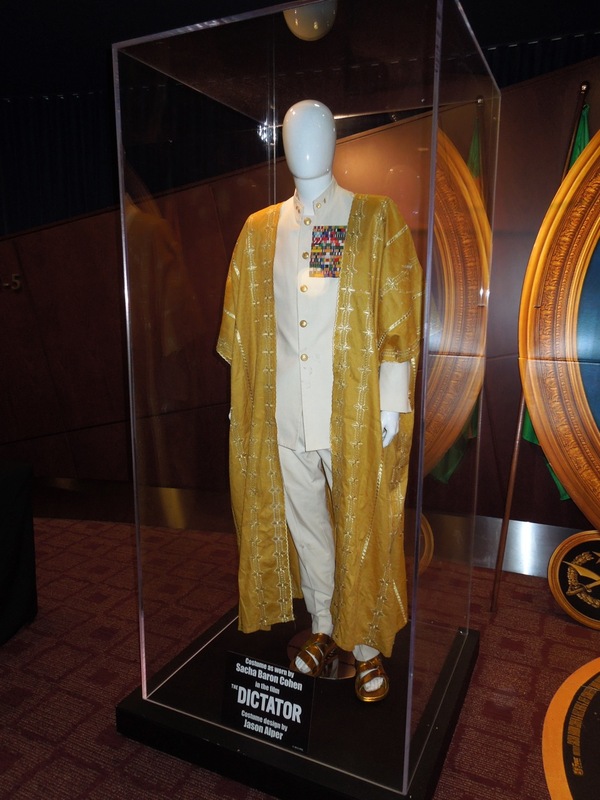 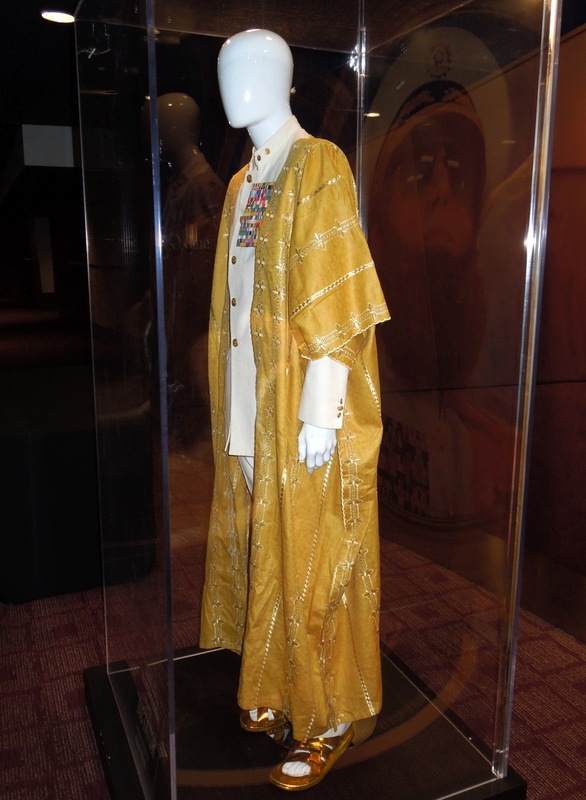 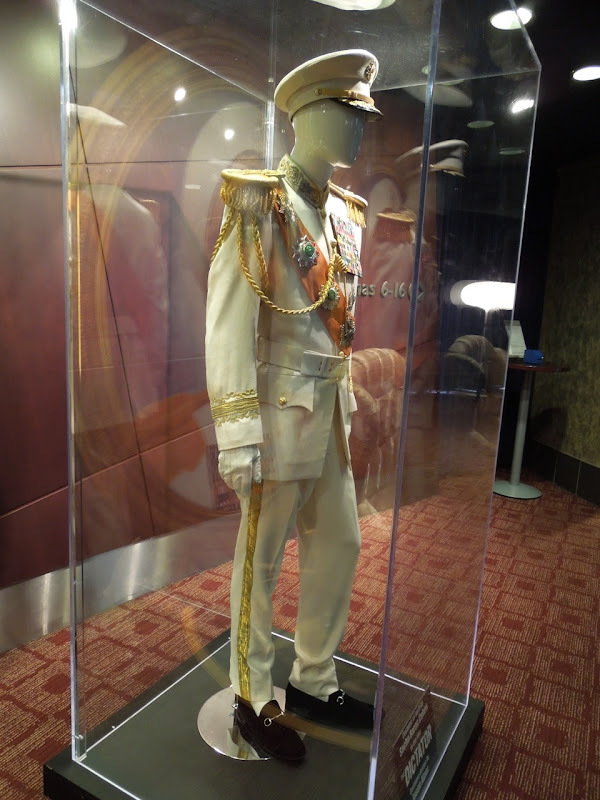 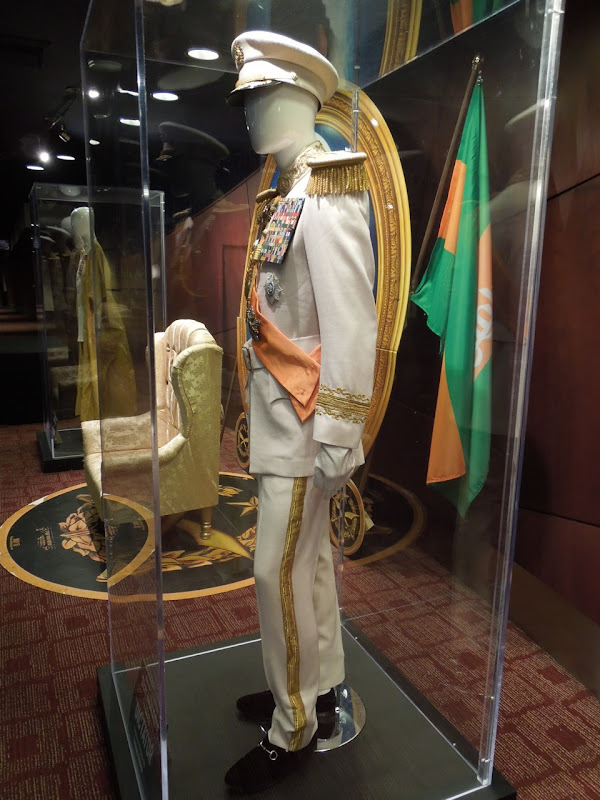 To promote the comedy these faux military costumes worn by Sacha Baron Cohen in the movies as 'The Dictator' were on display at ArcLight Sherman Oaks cinema on May 30, 2012. 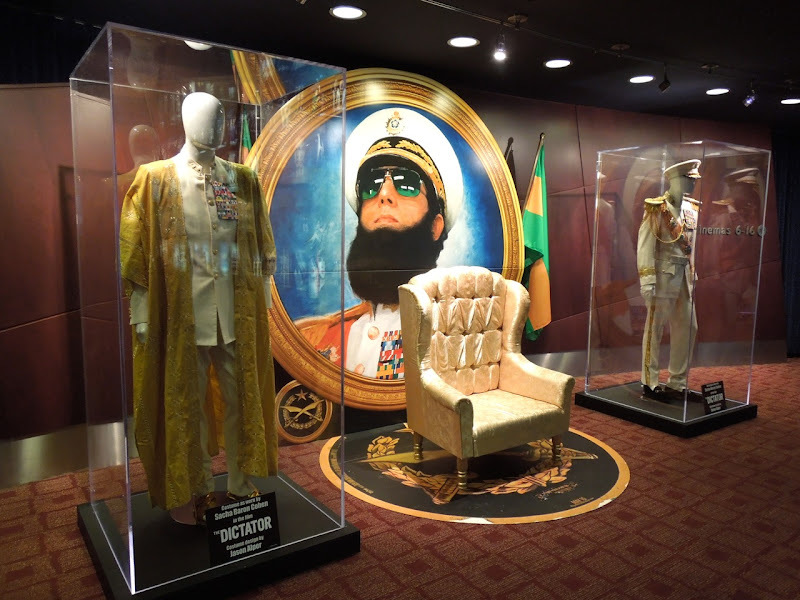 Even though the display says Jason Alper who worked on Bruno, Borat and Ali G is responsible for the costumes, other sources credit Jeffrey Kurland as Costume Designer on the movie. 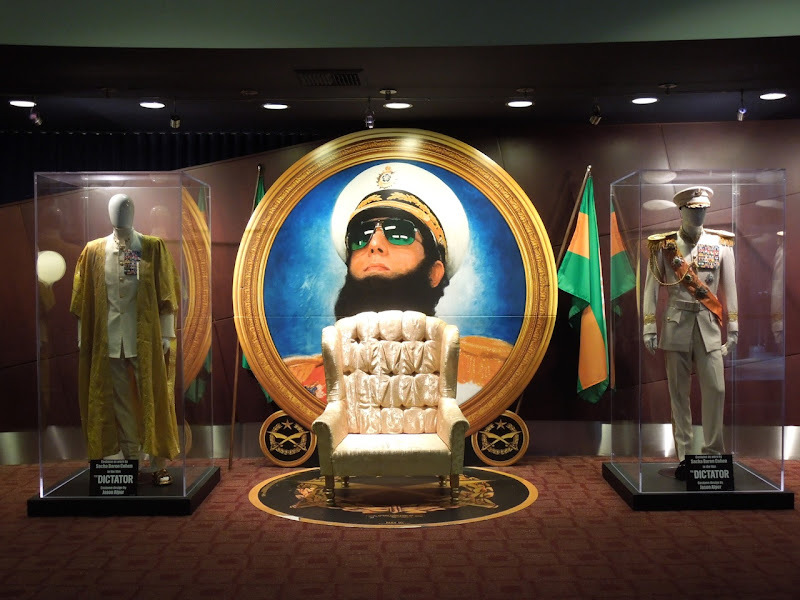 You can also see his work in the Ocean's Eleven remake, Erin Brokovich and My Best Friend's Wedding, plus you can also enjoy his costumes in Inception. 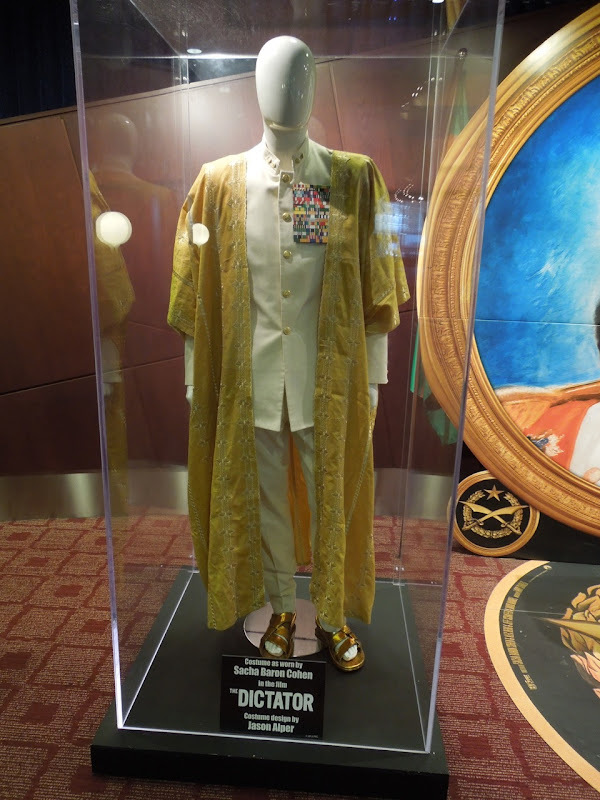 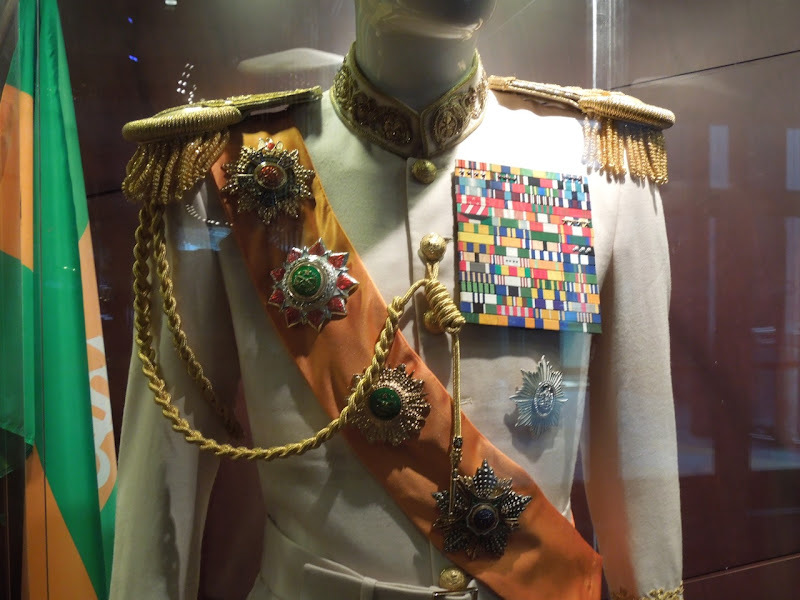 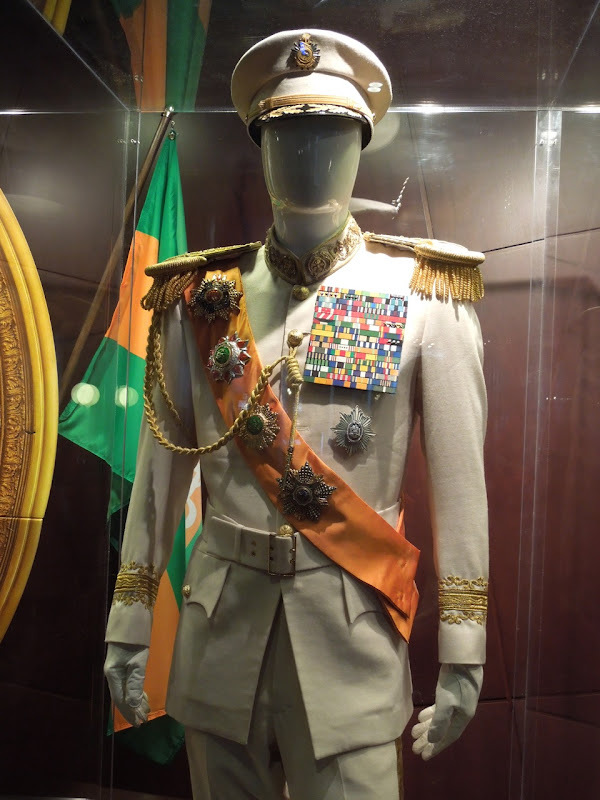 These costumes help convey the spoof nature of this Dictator with his overabundance of military rank insignia, ribbons and badges. 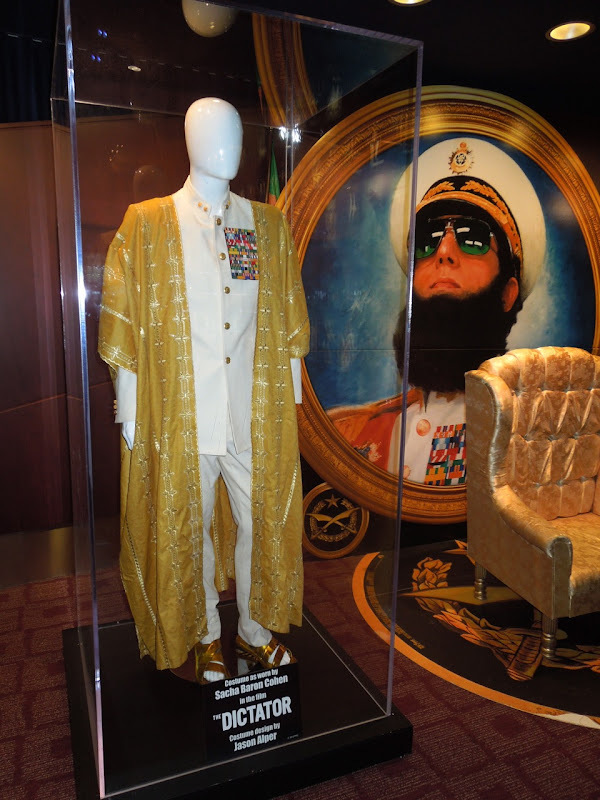 Whilst not everyone may like Sacha Baron Cohen's latest character creation, and may even find him offensive, you can't fault that these costume designs are pretty effective at transforming the comedian into a fictitious North African Dictator. 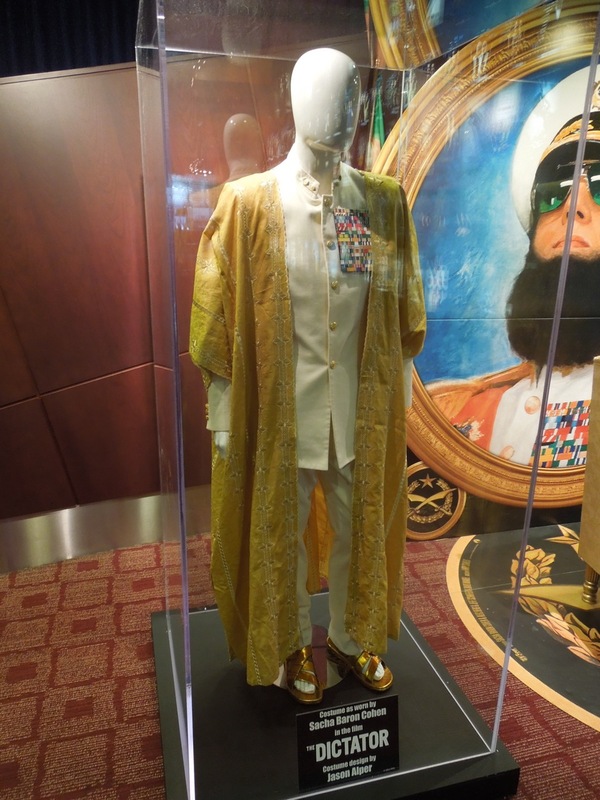 is there anywhere i can purchase this outfit from? 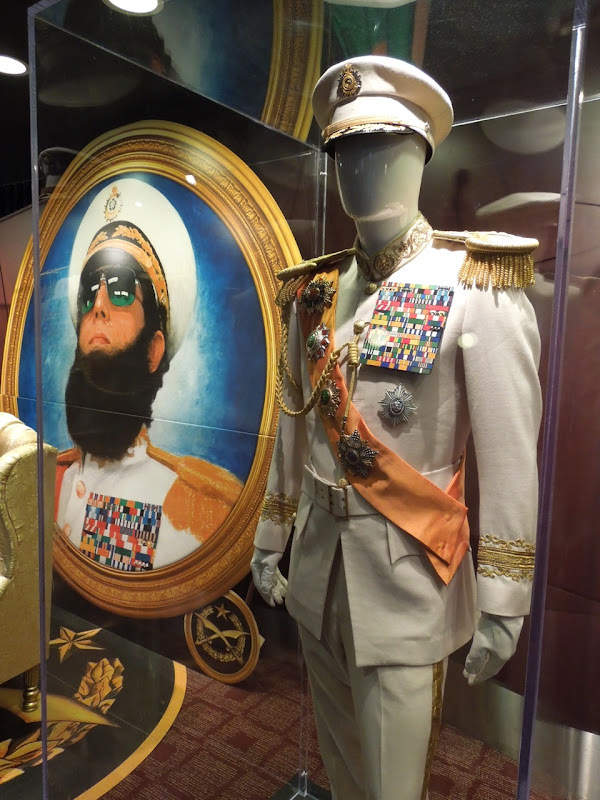 im going to a fancy dress party and this would be perfect!